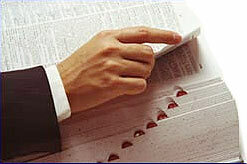 A qualified pension plan established by a partnership or self-employed person. A type of business insurance where the company purchases a life insurance policy or disability income policy on a key employees or owners that are important to the success of the business. The business is the owner and beneficiary of the policy. In the event of the premature death or disability of the key employee, the death benefit can be used by the company to ease the transition until a replacement can be found. A provision in the tax code whereby parents pays taxes for children under 14 years of age with investment income in excess of $1,200.